The Denver International Airport (DIA) is no longer getting the starchitect treatment. DIA officials received notice that noted Spanish architect Santiago Calatrava and his firm will be pulling out of the project for the airport’s redesign. Kim Day of DIA received the news from Calatrava’s wife and business manager, Robertina, on Wednesday, September 7. The letter disclosed that Calatrava’s firm, Festina Lente, would be withdrawing from the project. The firm had determined that the DIA has not sufficiently raised the funds needed to erect the planned design in the allotted amount of time. 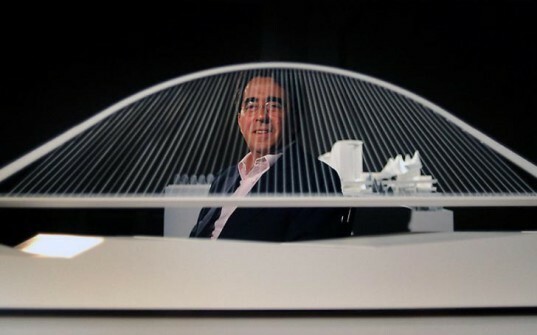 They also felt that this would prohibit Calatrava from fulfilling the project in accord with the firm’s artistic integrity. What remains to be seen is what will become of the plan designed by Festina Lente. The DIA has already paid the firm $12.8 million dollars for the work performed thus far. Mrs. Calatrava stated in the letter that Festina Lente will “retain exclusive ownership of the original concepts, copyright and intellectual property rights expressed or embodied in all architectural designs for the project,” but DIA officials claim they feel they are within their right to proceed with the design plans. Calatrava also designed a bridge for a commuter train connecting into the airport, but DIA deemed his design to be too expensive. 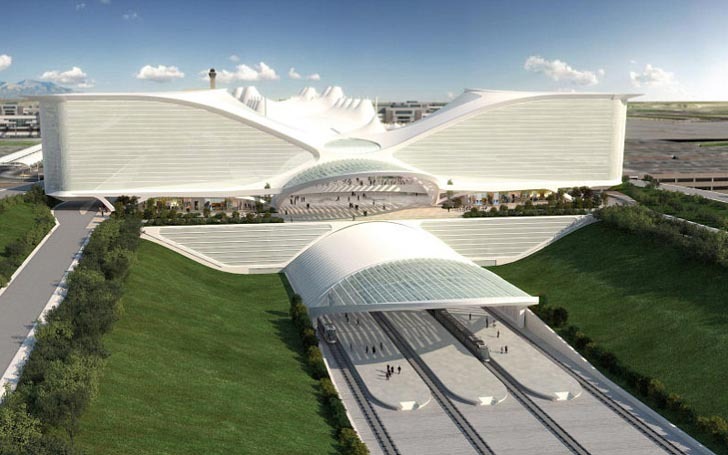 The train station is slated to be completed by 2014, with service beginning in 2016. As of now, the DIA plans to hire another firm to proceed with Calatrava’s design.